« Broccoli – Who Knew? I know being Brave will have it’s rewards! You see, tonight I didn’t hide under the bed, in the drawers, or …. well, I better not tell all my hiding places… I actually wanted to be ‘brave‘ and take my bath. We are going to the Magic Kingdom tomorrow especially to meet Princess Merida. She is going to teach me how to shoot a bow and arrow! I wanted to show Princess Merida that I’m not a big chicken & that I’m actually really brave and daring just like she is – so I got all the bath stuff out all by myself. I think it’s really super nice of Princess Merida to meet with us. After all, she’s a big movie star. Do you plan on taking a bath before you go to see Princess Merida? I don’t think I’ll have to take a bath before I go to see her in the movie theater…. or what do you think? Tagged Disney, movies. Bookmark the permalink. 93 Responses to I ‘Brave-ly’ took my Bath Tonight before going to Disney! It is called syozo of youtube. I am also doing the blog. blogroll registration of my blog — may I register your blog? Incidentally the name in a blog is “taro”. hi syozo!!! We’ve been following you on youtube for quite a while now. 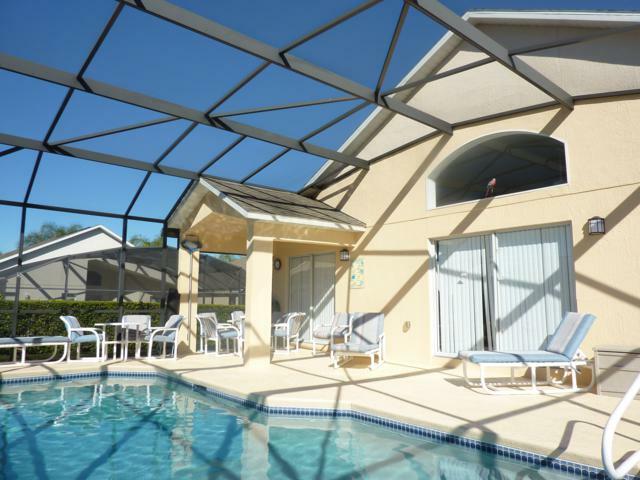 Thank you for letting us share your BLOG! … and yes, please register ‘myduffybear.com’ to your blog site. Thank you! I was allowed to register your blog. I need your help well from now on!! So how do you clean a Duffy? Mommy likes to make some nice hot water in a cup. Then she puts a little bit of Dreft in it and softly brushes my fur with a tooth brush. Then she makes some hot water without any Dreft. She dips a white towel in the water and rubs it on my fur to get the soap off. We heard that Build-a-Bear sells some fur cleaning stuff, but we haven’t tried that yet. Thank you so much! My Duffy was in need for one!!! 🙂 You are super most welcome Miss Danielle! I most definitely can! I did some shout outs on another video that I made. I’m working on something so that when I make the video, I’ll be able to put a picture of Duffy & Stuffy in it too! About to give Duffy a bath. Thanks for the info! Gave Duffy a bath, he is sooooo much cleaner! Thanks for the info and thanks for replying back from all the other times before! Mommy says she loves to snuggle up with me when I’m all fresh and clean! You are super welcome for all the info. I love meeting other Duffy’s & Duffy fans! I’ve been testing all these thing-ies they call ‘plugins’ to find the perfect one for my blog! How many times r u given a bath so far? I’ve been with my family for 1 year and almost 11 months now, & I’ve had 3 baths so far. Oh Duffy, you are adorable! I am from the UK, and only just discovered the fur cleaning products from babw five minutes after I already ordered some stuff.. ohh! Do you know what UK products are like dreft? My Duffy and Shellie May could do with a good cleaning; especially my Duffy! Thank you! It’s also awesome that you adopted a ShellieMay! ShellieMay brought lots of sweetness (you know that girls stuff) into a family of all boy stuffies. Sorry, I’m not familiar with UK products. 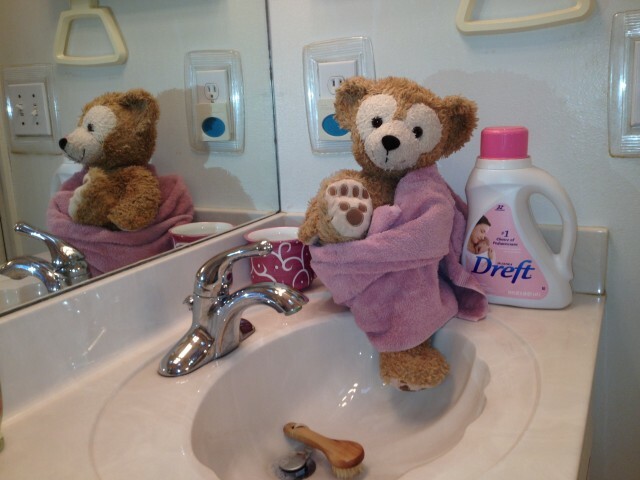 I heard that the BaB stuff works really good, but my mommy learned about Dreft from my Auntie Sandra. We helped her adopt my Cousin Duffy. I apologize it took you so long to find my blog! I’ll have to fix that some how! When mommy bathes me, she heats up the water really hot. Then she puts in the Dreft and scrubs me beary well with a tooth brush. She uses lots of water to get all the soap off. I’m so wet sometimes that she has to put me in the dryer instead of using the blowdryer. But to protect my eyes from getting scratched, she puts me in a special dryer bag. Tumbling in the dryer is Fun! It reminds me of Space Mountain. I also have a special brush. It’s actually a pet brush. I don’t like it very much because it’s pink! Mommy bought it a long time ago for her hair. She likes softer brushes. She cleaned it really good to get the human gunky stuff off of it. She brushes me lots and lots with it. It helps to keep my fur looking fluffy soft. Dreft is special for baby clothes, so that might help you find something that is like it in the UK. I wish we knew you were here last August! I like meeting my Duffy cousins from all over the world!!! Do you have a site for you Duffy? I listed DuffyBringsLove in my blog roll, but it brings me to the tumbler site for Bear Duffy. Is that you? Don’t worry! I could find your blog easily, I only just got an email address to post though! Duffy and I are set for life with Shellie May. Duffy prefers to hang out in my brothers room, because mine is full of girly bears. 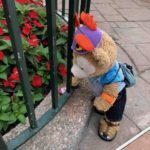 Although, I did get a Happy birthday Duffy bear as well as Shellie May on my own birthday, and, I hope you don’t mind that I named mine Little Joe inspired from this BLOG! Thank you, I’ll be trying the bear cleaning products from BABW if I manage to persuade my Daddy to take me to the Father Daughter Shopping Day there. That’s a good idea! I use a paw brush I got from BABW a while ago, but I might want to get the fluff out of it before I try using it again. Don’t tell my Duffy I told him he was old looking! Me too! I have a picture that I took of my Duffy and Shellie May on my birthday. I’ll have to post that on in a minute. I actually made one a few days ago! I don’t have tumblr so that one isn’t mine. It is on my new blogger account, I’ll send a link along with my picture. Duffy and Shellie May say they really love this blog by the way! And I do too! NICE Blog! I love your background picture. It sounds like you and ShellieMay have lots of interesting adventures to share with everyone. I love space mountain! I once got told off for sitting cross legged, but it was comfortable. I have been to Walt Disney World five times, my sixth soon. I wish I lived in the US because it would be much easier to get to the parks! What is your favourite ride? Mine must be Rock n’ Roller Coaster, Carousel of Progress, Splash mountain, and Space mountain. Since Test track has been reopened and I’ll be taking my two to Epcot, I’m going to take them on there. I am scared they’ll fall off the ride, so I’ll hold on tight to them! Ha ha, sorry to fill this with comments! New & fluffy and I bet super cuddly! Comments are good! I love seeing comments from humans & stuffies that read my blog. I’m a very social bear! 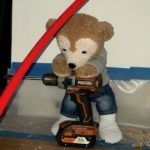 I would love to see the pictures of what you made for Duffy & ShellieMay! I am still learning how to do things for my blog. 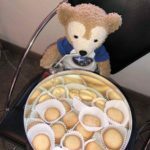 I found something that might let me add pictures of my other Duffy & ShellieMay friends here on my site! That’s so cool that you used the lei from Ohana’s. We’ve eaten at the Kona Cafe, but not Ohana’s yet. ….you are most welcome for the bathing tips! AND… thanks for the shout out on your blog! I’m still waiting for the name of your blog so I can add it to my blog roll. I’ll have to find out how to download things from my camera to here first! I’ll be asking my Dad later, I have lots of photos of Duffy and Shellie May on it because I’m using it fur them! It was my Mummy/Mommy's birthday at the time so she got extra leis. We still have four left, and lots and lots of flowers! All Shellie May needs now is a hula outfit! Thanks again! Duffy is pleased with his lack of fluffiness, and is no longer jealous of Shellie May! Yeah! I added your link to my Blogroll! Now you’ll have me as a visitor to your blog too! Aww, I spend the majority of my life on my laptop talking to Duffy fans and Disney fans and Build a bear fans on Blogs and Forums! You're a beary cute techie nerd bear! You're too adorable fur words! Hey Thanks! I want my blog to look a lot happier. I thought if I added some pictures to the side bar it might help. I love your comments!!! They make me and my whole Duffy & human family very happy! You are Super Duffy-Tacular Welcome! I know how super fun it is to have comments on my blog! Thank you for your compliments on my blog! I’m beary glad you like our background picture and the adventures we go on! I doubt I’ll ever get as many comments as here, but that special one I received yesterday is just enough <3 Your blog is made by a different website to mine, but do you know how I can make my own blogroll? I'd love to add this to my beary own! You only just started! I have a feeling you’ll do beary great! When I need to learn how to do something – I google! I bet if you google the question, you’ll find a super answer. Maybe even a youtube video – they have everything on youtube. Naww, Thank you Duffy! That’s a great idea! I’ll be doing that today, and if I figure it out, POP goes your blog on my blogroll! My computer just shut down on me last night! I’m replying from my iPhone. I’m thankful for this device. I was able to look up some trouble shooting information from my phone. I hope it will work! Blog rolls are kinda fun. It helps me to keep up with other Duffy Beat’s adventures. Oh noes! That happens to me a lot. It’s okay when I turn it back on though. I had to rush off too because of my time restrictions. It’s like a computer curfew. Sounds like you need a new computer too! A super duper fast one! It will be much easier to work on your blog if you don’t have to spend 1/2 your time trouble shooting your system. Ohhhhhhh!!! an iPhone 5! Those look so cool! That’s gotta be my next one! You could get an iPod touch! If you have wifi, you can work from there too! and get all those neat apps! A bad internet connection would drive me nuts! I’m pretty lucky, I was born after mommy switched from dial up modem to a cable connection. I guess it’s pretty fast, but I want it to be even super faster! I need to get windows 8 for my laptop. I hope it helps. I just spent ten whole minutes trying to sort out my internet! I punch my computer a lot now, but that’s definitely not the cause of its problems. I do hope it helps. My laptop is less slow because my Dad was looking through my laptop to help me and there was something downloaded that I never touched and shouldn’t have been there. I don’t download anything without my parents permission. That’s true. I haven’t played on my Mom’s yet, but I don’t think they’re any different. Do you have an ipod? I have a walkman which is a type of MP3, but I haven’t got an ipad! My Mom has an ipad two as well, though! I hope windows 8 helps too! Computers are suppose to help you get things done, instead of taking time to fix them all the time! That’s cool your dad knows so much about computers! I got a hand me down iPod touch from my auntie Chrissy. I might get her old iPad now too! Maybe…. I hope so! I love computer stuff! Well Said! That’s why me & mommy like our iMac. It gives us trouble here and there, but nothing like the windows stuff. That’ right! There has been improvement in my connection and speed since he removed the thing. He’s pretty good with computers, so I’m glad. Hey, are you celebrating pancake day tomorrow? We had pancakes yesterday and might have more today! I spotted the ‘Send in pictures of your Duffy’ addition to the BLOG yesterday, and am I signed in? I have a picture of Duffy and Shellie May on my BLOG anyway, and I think you’ve seen it. You’re one lucky bear, Duffy! Pancake Day! Oh, BoY! I’ve never heard of pancake day, but if it comes to food I will definitely celebrate. I like blueberry pancakes. Your family treats you really good! Yes, I did put up that send in picture widget. Then everything crashed! I want to make a page for all my Duffy friends to share their Duffy pictures! I wanted to get a widget where you can add more information about your Duffy too. It’s tomorrow! I love mine with lemon juice and sugar! So does Duffy and Shellie May. Mm, blueberry pancakes! I love them with honey too! Oh noes! I could always post some here now! Duffy was born August 1st 2012 on my fifth visit WDW, in Once upon a toy at Downtown Disney. He always goes in my left hand, I don’t know why, he just likes it there. His favourite colour is blue and his favourite food is chocolate chip cookies. His Full name is Duffy Elias Disney Bear. His younger brother is Duffy Jr. (whose middle name I decided as Little Joe, after this BLOG! :D) There’s more that he’ll go one about but I’ll leave it as this for now. Lemon Juice and Sugar? I get the sugar part… but the lemon juice? Ah…. well… mommy said people in the UK put vinegar on their french fries! I’ll trying anything once…. I like my honey straight up! The only thing I don’t like about honey, is that I have to wash my paws after. Honey tastes better when I eat it with my paws. I’ve tried it with those human eating sticks and it’s just not the same. Little Joe is so tickled that you named one of your Duffy Bears after him! Little Joe really likes to eat his sweets. When we go to Publix, he always asks for the chocolate chip cookie! Yous guys got some really good names. I got a few nick names. They are really weird! My mommy called my FlufferNutter! Yet, she said it in a very sweet way. I never really minded until ShellieMay called me Fluffy! That was a big NO for me! We do. We put it on chips which are fat french fries for use. We call chips to you crisps. Well done on fifty comments. Wow! We squeeze it out of a bottle. It’s nice with medicine! That’s Okay, Little Joe! It’s a lovely name! Our GrandMommy got our cookies from the British Walmart; Asda. Thank you! Duffy has a nickname of DuffyKins, and Shellie May is May May. 50 wow! I didn’t even notice until you pointed that out! That is a lot of comments. We were really surprised when Little Joe told us his name. Some of the bears we adopt tell us their names right away. Others take weeks and weeks to adapt and then tell us. We are going to put pictures of all our family up with their names one day. You got a British Walmart! That’s so cool! I have to go over there to see it! “DuffyKins” is cute! FlufferNutter is just one of my nicknames. I’m too embarrassed to share some of the others just yet. Aww, Duffy Jr. Little Joe Disney wasn’t sure of his name. He was clever and knew that my 17″ Duffy was Duffy. So we had to make his name. Yeppers! It isn’t as big as Walmart though. I heard Walmart is real big. I don’t shop there a lot, either, but it’s great for toys and notebooks and stationary! Duffy likes his nickname! And I think Fluffernutter is way adorable <3 I bet your other nicknames are cute! Are you home from school already? We are just about into the middle of our day. We are going to bring my computer back to the fix it place. Walmart is super huge! I don’t hop out of the cart and run around there, or at Super Target either. They are too big and it’s too easy to get lost. It’s 5PM for us now! We have a five hour difference in time! Like Felix fix it from Wreck it Ralph! I hope it gets fixed! I can imagine! I saw the website and they have everything! I need to go there. Your write really sophisticateded for someone too young to use a bed that might be dangerous. I read that they educate you better in the UK than we educated students over here. Yes! That’s me! @iamduffybear. On the top right of my blog, you’ll see the little twitter & facebook tabs. The #meanhackers send DM’s (Direct Messages) to me and my twitter followers to look at some picture. That was mean! If you click on the link, then something bad might happen. I use 1Password to make really tough passwords. I didn’t change my twitter one though. So I guess it was still too easy for the hackers to get. I also need to change it more often. That takes so much time! Paper templates? for your blog? I’m not sure I understand either. Thank you Duffy! You write really good too, even though you have no thumbs! Really? I’m the first year group in the country to have grammar lessons, and we’re quite bad considering we’ve not learnt much about it. At least I know the stuff I need to know. Wow, that is funny! I don’t understand how they do the grades and years in the US. Say if you were in… 3rd Grade, for example, would students in that grade be seven and eight? That’s what I think. I had a pen pal who lives in Canada, and she was on about grades and had no clue what she meant. Oh dear! Once I clicked on a link and there was a scary video. I removed it right away, and nothing happened. Ah yes, I can see them. That’s so cool! I’ve seen your posts on the Duffy and Shellie May facebook pages, too! My passwords are usually random letters and numbers and stuff, I learnt that if you have a mix of capital letters and normal letters, then it’s real tough! Grammar is hard! My stuffie head hurts if I study it for too long. The 3rd grade human kids in the USA are 8 years old. I let 1Password make up really hard passwords for me. NO way I can memorize them. I better never lose my iPhone because with my iMac broken, I couldn’t get into any of my email or anything! Oh dear! I don’t like it, it is too hard! Okay! I get it! We call the grades ‘years’ instead. Third Grade would be year three! He he! I should try it sometimes. Mine are just jumbly letters that I have used for so long, I can easily memorise. Don don don! That’d be awful! Grammar – Blech! It’s super hard! Do yous guys have Kindergarden? or Pre-Kindergarden? I know! It’s boring too. We call kindergarten pre-school, and pre-kindergarten would be nursery. Grandmommy says grammar is good, so I try my bestest. But I don’t think I’ll every gets it. I thinks we should gets to write likes we talk. I have to keep one of those word looker uppers on my iPhone so I can spells right too. Nursery? That’s like in Peter Pan? Like Wendy & her borthers room? Grammar is good because it helps us in our writing; Lesser Grammar would be the goodest thing I ever hear; LOL! See where we’d be without it? Yeah, Peter Pan is set in London, so you’re right! Kindergarten is a better name. Sigh. Lesser Grammar sounds super goods to me! But, I guess you are right. If we didn’t have grammar rules, we wouldn’t be able to understands each other. Did you ever see Peter Pan flying through London? Maybe if you make a nursery in your home, he’ll come to visit! That would be super cool if yous guys could go to Never Never Land with Peter! You gots to go before you gets too old to go! That’s true! I sound mean, but some people on websites I go on don’t spell or use grammar properly and I can’t read their messages. No, but I’m sure I once saw tinkerbell and Captain hook! I used to go to a nursery, but no Peter Pan! Just like Peter Pan, I don’t think I’ll ever grow up! They should make a Cars land and a Never land at WDW! Yep, it’s really frustrating when you don’t know what someone is trying to say. We hear all the time how much better schools in other countries are than the USA. OMG! Seriously! Tink & Hook! You are soooooooo lucky!!! You gots to keep your camera with you so if you sees them again, you can surprise them and take a snap! I know I won’t grow up. That frustrates ShellieMay. She thinks I should be more ‘mature’. But that will never happen. OMG! A CarsLand and NeverLand would be Awesome-A-Tasmicly Amazing! I love the Peter Pan ride! It is! Especially on computers. It sometimes takes me ages to figure out what someone is saying when they use really complicated text talk for everything! Text talk is cool, but when people make it way too long it’s frustrating! Really? This year is the first year my school have actually given us grammar lessons. They’ve never bothered before, and it’s the same with every other school in my country. Yepp! It might have been the tooth fairy though, and Captain hook was definitely in the sky! Don’t tell my parents, but I don’t know where I put my Camera! I used it on Monday, but furgot where I put it! My brothers Duffy stays the same age; he’s five years old. And has been since two years ago. You’re real clever for your age! Shellie May doesn’t have to be mature, because that isn’t always fun! But Shellie May is Shellie May and Shellie May is fun! It would! I was on Daily Duffy today, and Tiny Duffy and Shellie May must have lots of fun at Cars Land! I didn’t go on the Peter Pan ride last year! It’s always super busy! My friend David, he went to WDW for his first time in October, and he’s been to DLP and DLC too! He said that he liked the DLP Peter Pan ride betters. I don’t know much text tawlk. I guess it would be easier to write quick messages, but then it might make my grammar even worse! Tooth Fairy? I wanna meet the Tooth Fairy, but I guess I never will ’cause I don’t have any teeth. I always misplace my iPhone. I have to call it with the house phone all the time to find it. Yeah – my AAD stuck me at age 6. No maturing for me. But I think then I’ll aways have fun! ShellieMay came mature. She wants me to write up her story for my blog. Daily Duffy is great! We are getting very behind on reading all the other blogs right now – we’ll catch up again. I don’t use text talk that much. I use tbh (to be honest), Lol, and… well, that’s about it. 6 is an awesome age to be stuck at! When you’re six you don’t have to go to big big school and to hard tests, and hard stuff. And I'm real proud of the way it looks! It's themed around gadgets and Sanrio and stuff, so it's kind of pink. I don't think you'll like it, but maybe Shellie May should check it out! He he! You got me on the tbh! Oh, goodie, I wants you to share your pictures! Really? No hard stuffs? Well, maybe only ever being 6 will be pretty cool! Believe it or not, I’m still sorting out this computer! We had a big crash. It was because of my old stuffs. So we had to reformat and reload the operating system and then put all the old stuffs back on again! I wanna BLOG! Enough of this already! Your new blog is great! I only skimmed it so far – my reading list is growing. I gotta get all this stuff sorted out soon! I posted a comment – well, it’s really ShellieMay’s comment, but I posted it for her. I think it’s with Duffy and Shellie May’s BABW stuff. I’ll have to find some stuff out. I’m gonna post an Easter picture using my Mommy’s ipad. Yepp! Being 6 is hard stuff free! I had my first WDW trip when I was 6! Oh noes! You must have lots to sort out now! 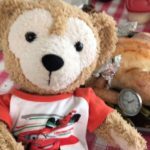 He he, Duffy hasn’t posted on his blog in two whole weeks! This is bad! Really? Thanks Duffy! I can’t find Shellie May’s comment! I checked my posts and my email, but nothing! I’m sorry that it didn’t come through! Hey! We are 1st WDW Trip Twins! My 1st trip to WDW, I was 6 years old too! Your BFF is super great! I’m going to check now to see why ShellieMay’s comment didn’t post. I think I remember that I was logged into my account. Shucks! That’s awesome! 6 is a great age to go to WDW! I’m tall enough to go on the HULK coaster in IOA this year! Whoopee! I like all the big fast rides! Like Rock n’ Roller coaster! He he! You are great! I got it yesterday night, don’t worry! I’m glad Shellie May likes the room I posted. I’m going to BABW on Monday because I’m getting an Easter (Well, April fools) present. My brother got the two ‘Luigi’s mansion’ games, which altogether cost £42, so I get both the My little pony: Friendship is magic bears, and the hello kitty dance outfit, that Shellie May’s gonna use. I did Rock ‘n Roller Coaster! I love the flippies part! HULK coaster? I’ven never been to IOA or Universal. I so wanna go to Sea World too. You got your presents all mapped out! ShellieMay said it’s important for a girl to know what she wants – that way she always gets it. … and she does!… as for me…. I’m kinda ADD ’cause of me AAD (Adoption Activation Device). But it’s ok, I don’t mind living in 10 second increments! My mommy was a ballerina teacher! She gives ShellieMay private lessons. I’m only just tall enough to go on this year! I’m really small! We’re staying at Royal Pacific resort there for a few days this year. My friend goes too, and she’s staying there so we’re going to meet up. But I’m not sure if she’s lying or not! We went to Seaworld, I couldn’t get out of the play area cause it was confusing. And my Mommy is scared of Killer Whales! I guess so! I did get both, and two outfits too! We went to Bella Italia too! Best ice cream ever! Oh Wow! Shellie May wants a ballerina outfit! And a hula hawaiian outfit for Ohana’s. I never thought about it, but cuteness does go far! Some of the CM’s measure my height, but some let it slide. Mommy said she was really small when she was a young girl. It was kinda fun though – yet she never went to Disney when she was little. Royal Pacific Resort? I’ll have to look that up. I bet it’s really super nice! Oh! I’d like to try that Bella Italia! I LOVE Italian places! We go to Ghirardelli’s Soda Fountain in Downtown Disney. They have the super goodest chocolate ice-cream! I bet you can make ShellieMay a Hawaiian Hula outfit really super good! That’s awesome they let you go on anyway! I once got told off on Space mountain because I sat with my legs crossed! I’m really small now! There are some kids who are younger than me that are taller than me! I think I’ll be spending lots of time in the swimming pool there. It looks the bestest! My Mommy tried Taglitelle (I’m not sure how to spell it! Too many L’s! He he) and it is the yummiest pasta in the whole wide universe world! We were going to go to Ghiradelli’s last year, but we didn’t! I want to get some ice cream from there, and some chocolate! We had the best ice cream I have ever had at Bella Italia! It had bananas and toffee squares and caramel and whipped cream… Mmm…. Sorry, pillows are the best I get! I did make Shellie May a lei headband and Duffy is beary pleased with his lei. Chocolate! Chocolate ice cream at Ghiradelli’s is so good there isn’t a human word for it! I’ve never heard of Taglitelle? I’ll have to buy some and try it. It looks like linguini. I’m curious about the difference. Hi Duffy! I just took my bath last night 🙁 It was horrible! You must have been awfully brave to get that sink! What do you use to take a bath? I use Bear Stuff cleaner from build a bear! It is easy, but I don’t get hugs until the next day because I have to air dry! I don’t like baths that much either. I like the being clean part and getting lots of hugs, but the water part… not so much. Mommy used Dreft. My Auntie Sandra told her about it. My Auntie uses it on my cousin. We tried the Bear Stuff cleaner. But, mommy doesn’t think It works as good. I’m not sure. All I know is that it’s time for my snout to be washed again… YUCK! Yep, – the worst part is not getting hugs until I’m dry again either! Duffy hasn’t had another bath since the last one. I forget when I gave him it, but he is still my fluffy duffy. Shellie May is almost 1 year old in human years (she will be in 4 days!) But in bear years, she’s 7. That’s two years older than my Duffy. Her fur is just as fluffy as it was when I got her, for some reason. Did you hear they’ve taken Duffy off the Disney store UK websites, and stores? I’m kinda sad but I suppose I’m happy he’s more exclusive. It makes him beary beary special. My Mommy thinks it’s because he didn’t sell very well as many UK people don’t really understand Duffy very well. I think it’s because he sold out too much! I haven’t had a bath in a while. Mommy said that she wants to at least wash my snout for the Christmas holidays. I guess I’ve been a messy eater. Yeah – what’s up with the fur thing!!! My fur looked old almost right away! Seriously, like a month. But ShellieMay is still all fluffy and clean? I guess it’s a girl thing? I bet you’re right! They say that Duffy is selling very well here. They’ve stocked up the stores in the parks a whole lots more now too. I don’t see much on the on-line USA Disney Store though? I think that’s weird. It really could be that he sold out and they need to get more stock in the U.K.! 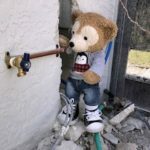 We need to keep working on our blogs – and spread the word to the world that we are awesome pawesome bears! Once they learn we are more super fun to travel with than a flat Stanley – they’ll all want a Duffy! I know! And surprisingly, I have the same hiding places as you when I want to take a bath. But when it comes to the doctor, I usually hide up inside the chimney, or I go out the window in the loft and climb to the top of the roof. But this year, this morning, I buried myself in the giant snow hill hitting my fence. But since she said I was a brave boy, I got to put on the shoes that made me tall enough to go on Space Mountain, Primeval Whirl, Tower of Terror, Rock n’ Roller Coaster, DINOSAUR, Expedition Everest, Stitch’s Great Escape, Big Thunder Mountain Railroad, Splash Mountain, Star Tours, and also, my dufferdefinitley most favorite rides in all of Disney World, Soarin’, Test Track, and Buzz Lightyear’s Space Ranger Spin. Yet I got to go; I’m off to Disney to ride all those rides!! Whoa! You gots some duffertastic hiding places! I think you’re mommy might be smarter than mine though. I don’t have to work too hard to hide… hehehehe…. Those shoes sound really cool! How did you get shoes that big into your suit case? Snow!!! I gots to play in some snow once. But it wasn’t even a whole inch. I think I needs to gets to Canada & play in the snow! Actually, I wore them in the car, because I don’t live far from Disney! And also, By my house, there is a five foot snow hill, and I love sledding on it! You live near Disneyland!!! You’re so super lucky! You get all the goodest rides all in one park! – Well, except Radiator Springs Racers! I gots to ride that soon or I’ll burst! Actually, I live near an airport and Disney World. The airport is super duffermoungous!!! I like going up the lairs of parking lots to look for a space to park – well, its only fun when you go DOWN the big spiral hill. But Disneyland is funner! And in Disney world, the Space Mountain fit one; at Disneyland they fit two; in Disney World, Splash Mountain fits two; in Disneyland, it fits one. So basically, in Disneyland, Splash Mountain seats look like Space Mountain seats in Disney World; and also, Space mountain seats in Disneyland look like Splash Mountain seats in Disney World. Kinda confusing. Space Mountain is super FUN! I only got to ride Space Mountain once. Mommy doesn’t like it. She let me ride with my uncle Gustavo – he’s super fun! Mommy & I both like Splash Mountain, but the last time we went on it, mommy got soaked! The water splashed over the side of the car when we were going slowly! So – we’ll only ride that on a very sunny hot day so if she get’s wet, she can dry out quickly. Do you like to ride the Kali River Rapids? I love that ride! It was like empty one day and we rode it 4 times! OMG!!! Kali River Rapids is the bomb.com!! It is insane!! I like going down baxkwards; sometimes, it washes fleas away. We didn’t ride Kali River Rapids today, but we’re planning to this Saturday! Thanks with the cleaning idea!! I am now very clean!!! !